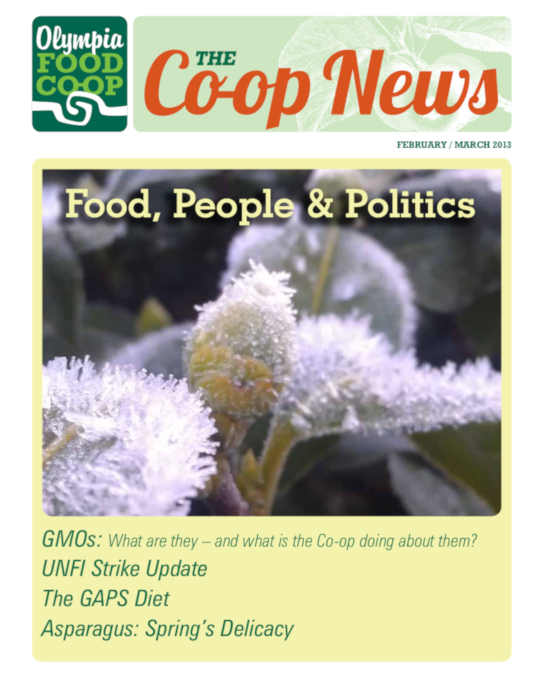 As you may have gathered while shopping in our stores in November and December, the Co-op has been engrossed in ways to support union workers striking against United Natural Foods, Inc., (UNFI) the Co-op’s main supplier. UNFI is a major distributor to co-ops locally and nationally, and supplies our Co-op, as well as several other grocery stores in this area, with natural and organic foods. Teamsters Local 117 has been in contract negotiation with the company since March 2012, and striking members have been at the picket line demanding fair labor practices since December 13. One way we chose to support the strike initially was to cancel a week’s worth of deliveries (totaling nearly $100,000 in lost revenue to UNFI). Fired a worker for alleged strike misconduct and insisted that the Union relinquish its right to take action against replacement workers who violated their membership obligations. The Co-op continues to do all we can to support the striking workers, and we are in regular contact with Teamsters Local #117 to find out what they need from us. We hope that a resolution comes to light in the near future, and there are some ways you can help! Donate to the Worker’s Strike Fund! You can “round up” at the registers and we’ll pass your donation on to the union. Striking workers and their families need help! Join the picket line! The warehouse is only 40 minutes away – and remember, picket lines always need food and hot coffee.